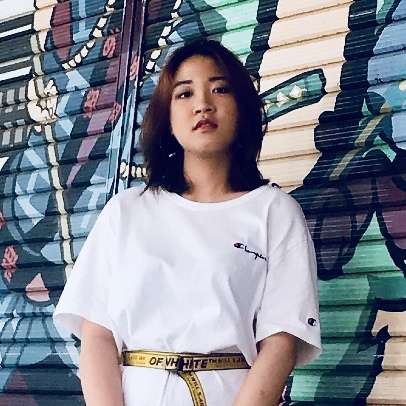 Samantha Lo, also known by the moniker SKL0, is a Singaporean contemporary artist and one of Singapore’s most well-known street artists. Dubbed the “Sticker Lady”, Lo became a household name in Singapore after she was arrested for spray painting on a public road in 2012. Mark Ong and Sue-Anne Lim are Mr and Mrs Sabotage – the dynamic husband-and-wife team behind SBTG. With an amalgamation of influences, SBTG’s works is a bricolage of punk rock, skateboarding, 80s America, military motifs. SBTG’s artistic practice is one infused with moral courage; living by the punk and skateboarding tenet of having the freedom to be what they want, they pursued a path in visual arts independently. 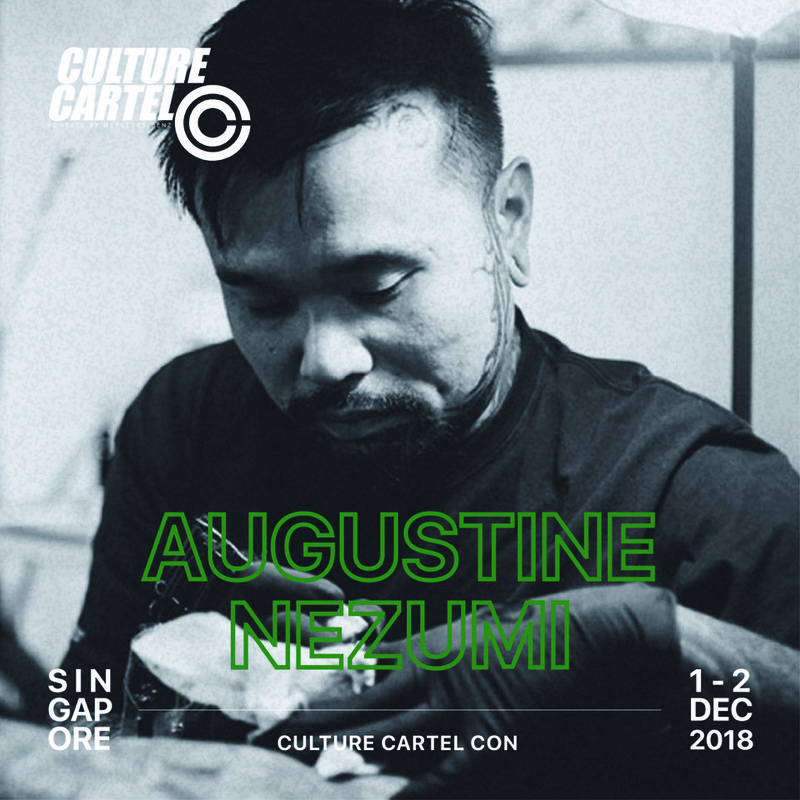 Augustine is one of the top tattoo artists in Singapore, who is well known in the local and international tattoo scene for his vibrant creation of full-body oriental tattoos. He has participated in major tattoo conventions around the world, including Le Mondial du Tatouage (Paris) and the prestigious International London Tattoo Convention, and continues to a big part in establishing the local and regional tattoo scenes. Jackson Aw is the founder of Mighty Jaxx, a Singapore-based award-winning design studio specializing in art collectables. Since their inception in 2012, they have produced over 200 designs and delivered thousands of products to collectors in over 50 countries. Their limited-edition collectables are designed in collaboration with world-renowned artists worldwide. What’s your inspiration/what led you to the field you’re in now? The people with their quirks and mannerisms first got me started on social narratives. I’m very much inspired by how interdependent our lives are and it has led me to this career where I am able to communicate and share an alternative point of view to the world around us. In short, cause it’s fun. I always had a love for shoes, I found them beautiful sculpturally and loved how it contributed to my outfits. I got into the scene through skateboarding actually. My shoes would get thrashed quickly and I always wanted my shoes to look nice. It’s hard to pinpoint how I started; it’s through a series of events that contributed to my doing Sabotage. I remember myself doodling band logos on my shoes in primary school, slicing away the lace savers on my Airwalk tailslides to cutting my high tops to mids and using a test marker in a stationary shop to colour my shoes. But I guess the shoes that made me fall in love was the OG Air Jordan 1. Ever since I was a little boy, I loved to see people with tattoos. Most little children will avoid tattooed people but I will go near them to see their tattoos up close. As I grew older, I was working in all sorts of industries but all of them did not last past a couple of months. One day, I just asked myself “am I going to be job bumming for the rest of my life? If not, what can I do and what kind of job can I do that wouldn’t make me feel like I’m dragging myself to work every day?” And I looked at myself; I already had tattoos then. So it didn’t take much thought for me to decide that I wanted to become a tattoo artist. And that thought was almost 18 years ago. I’m a toy collector myself and have always been intrigued by the production process. Actually, the truth is I’ve spent too much on toys and need to earn more money to buy even more toys. :p Coming from a creative background, I don’t know much about production and that lead me to spend a month in China to study the process at experienced factories. Who are the figure(s) in the industry you look up to? Why? Too many! I was first interested in how interactive street art is through the works of Trustocorp and their street interventions, Banksy (of course) for his wit, and local artist Trase One for his shadow skaters back in 2009 where he painted skaters doing tricks down actual shadows of power boxes and street lamps. That blew my mind. I really enjoyed Verdy’s humble pop-up presentation concept that simply blew up in such a big way and still looks like he is having so much fun. I look up to a lot of great artists. Namely people like Filip Leu, Johan Svahn and Grime. I look up to them mainly because of their originality and they are really great artists. They have created their own signature style that is so distinct that you can tell that it’s their work if u see it in a magazine. I think that is very important as an artist. I admire the dynamic quality of local statue company XM Studio. They have decades of experience in this field and it shows in their works. The statues are detailed and beautifully made. How has your art form evolved and changed? It started out with plenty of self-taught design from hours of midnight oil. I was really inspired by stickers and typography on the streets so visually it was much cleaner then. After the arrest, I started picking up other mediums like painting and sculpting so it evolved to something more figurative. Presently I am revisiting my sculpting tools to further evolve my practice into something more three dimensional, with hopes of improving my visual style. In short, the message is still the same but the communication channels are still evolving. I got into my craft so I could make the shoes that I want to wear for myself. As the years go by, I was able to arrive at a skill level where I could satisfy my desires for footwear myself rather than buying. And over the years, I found that the sneaker could no longer contain the message that I wanted to express so I took a 2-year break a few years back. I started doing some paintings inspired by song lyrics with sign painting influences and also focused a lot more in custom garments and prints for textiles. This helped me expand my expression through my visual language and I was able to use it to tell stories while working with some corporate clients. I used to do very ultra-detailed oriental work but in recent years, I’ve gone back to the basics – bigger, clearer and simpler designs with emphasis on black. Cause after all these years of pursuing something that is so complicated and detailed, I feel like what is important is that a tattoo is able to stand the test of time. We used to sculpt traditionally and have since moved on to a fully digital process, using tools like Zbrush and Form printers to assist us in our process. How do you see the industry progressing forwards? The commercial industry is seeing more creative freelancers entering the market, sometimes fresh out of school. I believe in time it will be more competitive than it is now, and I also believe that the industry must find ways to accommodate this change. It’s gone crazy; it was exactly what I secretly wished for. It’s now so diverse and the expression has gone to such extremes, resulting in parts that I both love and hate. I feel that this creates balance and it’s happening whether we like it or not. Dope. We can now do what we would never have dreamt of back then. To be very honest, I’m not sure if the industry is progressing forward or are we taking a step back. That’s because what the general public didn’t like ten or twenty years ago, they are in trend now. To me, tattoo trends are like fashion trends. It’s like a cycle. For example, tribal tattoos used to be all the rage, then the hype died down. Now black work is back with a bang and it’s trendy again. I think the industry will become more collaborative and work with one another to develop even better collectables. Who’s THE ONE to look out for? Local artist Yangermeister. Her thought process goes beyond the superficial and speaks of underlying currents existent in society today, and what really makes it interesting is that she is able to dress up the entire concept so you get lost and distracted in this world that she has built, making you part of her installation yet delivering a subtle sucker-punch at the same time. Lots to look out for here. I don’t have a particular artist in mind because there are so many talented and up and coming young artists nowadays. And I feel that they are all good in their own different genres. What is one piece of advice you’d say to the youths of today? Always remember why you started creating, especially when things get hard. The best things are really worth fighting for as long as you start from the heart. Never leave your ideas in your head. Don’t get tattoos on a whim and try not to follow trends because you might regret it when it goes out of trend. Also, always listen to your tattoo artists’ advice because they will want the best for you when you are going to be carrying their work permanently on your skin. SO MANY! One of the best things is the prata from this coffee shop just outside Simpang Bedok, right next to the Shell station. Their prata is super crispy and their plaster prata is on point. Have that with an iced milo and you’re out for the day! My current favourite cuisine is Spanish tapas. My friend Pol from 24KTS recently took me to Xampanyet in Barcelona and It was the best meal of my life. The produce is so fresh it doesn’t need much help, just simple olive oil, salt and pepper. There was a lot of drinking too so we left feeling very merry. Chicken wings! I don’t really have a go-to place; anywhere with good chicken wings is a go-to place for me. I love comfort food and frequently visit Eng’s wanton noodle, Boon Tong Kee and Punggol Nasi Lemak…they instantly brighten my day! 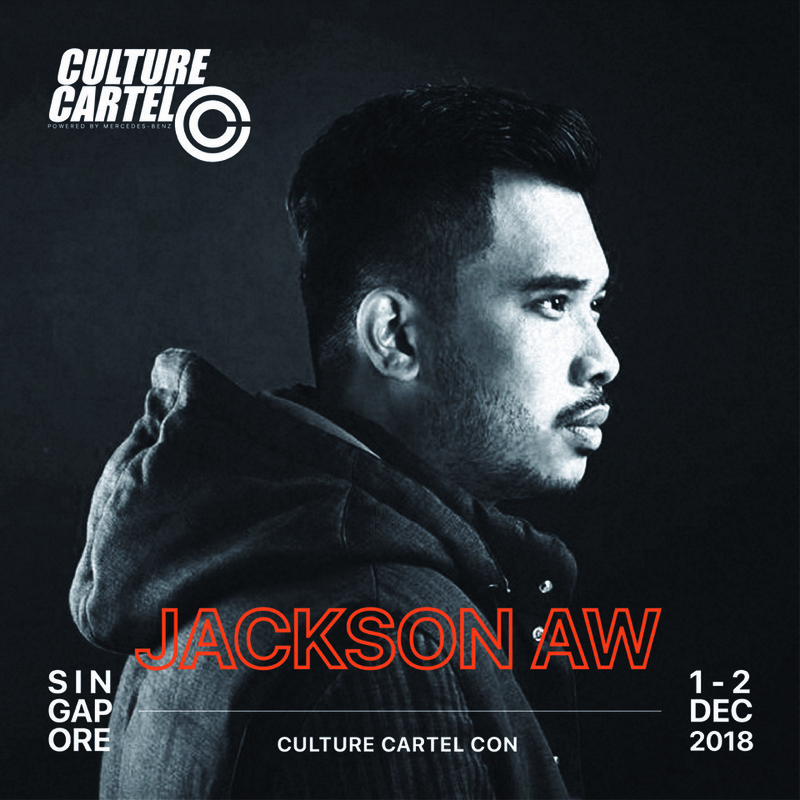 Asia’s first-of-its-kind street culture convention! 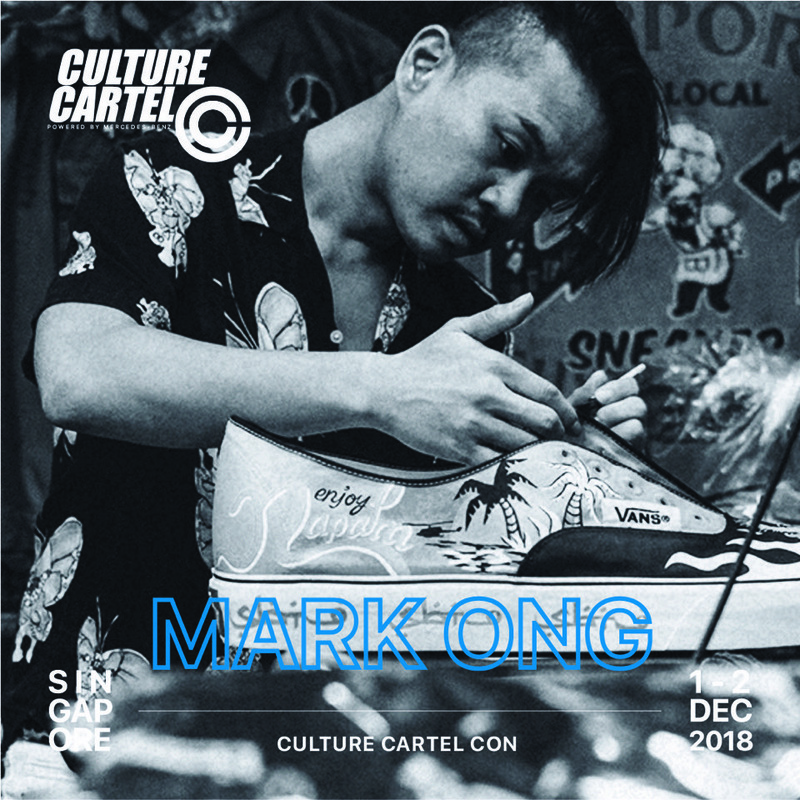 Culture Cartel is a street culture event in Singapore that comes at a time when Andy Warhol and KAWS have become household names, when a music playlist includes Beastie Boys and Post Malone, when a sneaker collection includes everything from Air Jordans to Yeezys, and when streetwear represents identify and not just a piece of clothing. 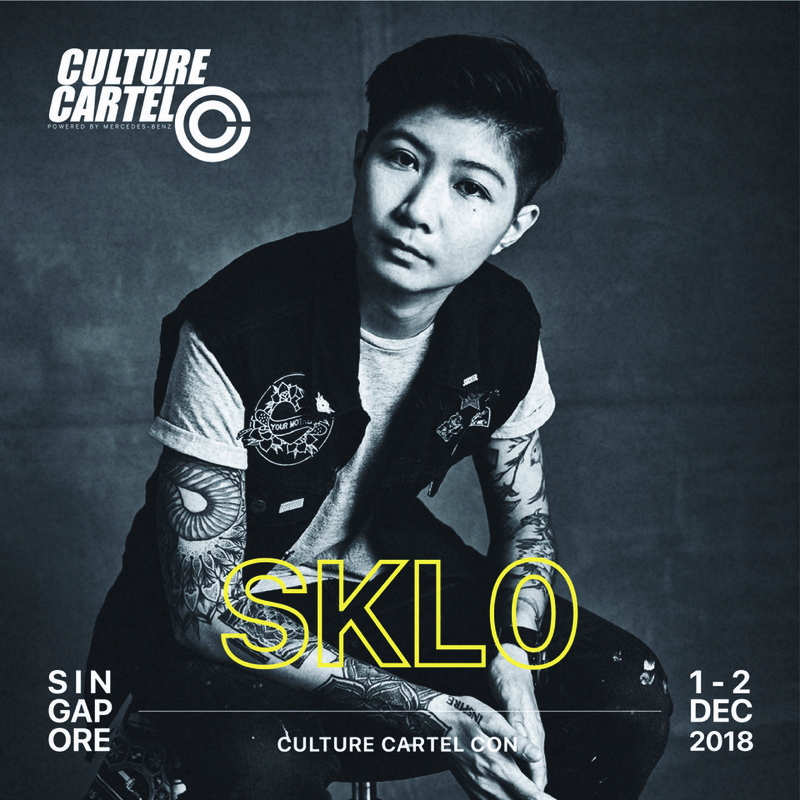 From ART to TOYS to TATTOO to FASHION, we say, it’s time for Singapore and Asia to come together to share, to collaborate, to create — from 1-2 December, at the F1 Pit Building in Singapore, Culture Cartel 2018, powered by Mercedes-Benz, is set as Singapore’s premiere street event that will unite the different sectors together in a convention that will showcase the best that street culture in Singapore and Southeast Asia and the world has to offer.